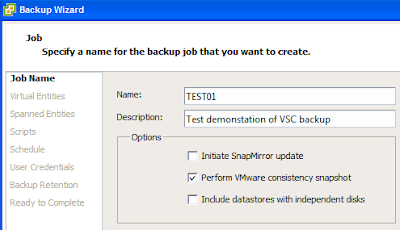 Note: Here we go in via the NetApp icon under vSphere in ‘Solutions and Applications’, it is also possible (with Storage Systems first configured in the ‘Backup and Recovery’ section of the NetApp VSC interface) to simply right-click a VM or Datastore and Backup from there. 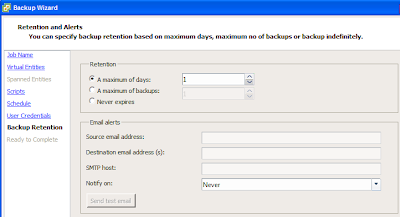 Note i: The controllers might already have been added in under ‘Monitoring and Host Configuration’ but they need to be entered again in the ‘Backup and Recovery’ section! Note ii: The VSC can also update SnapMirror relationships if you add in the remote Storage System too. 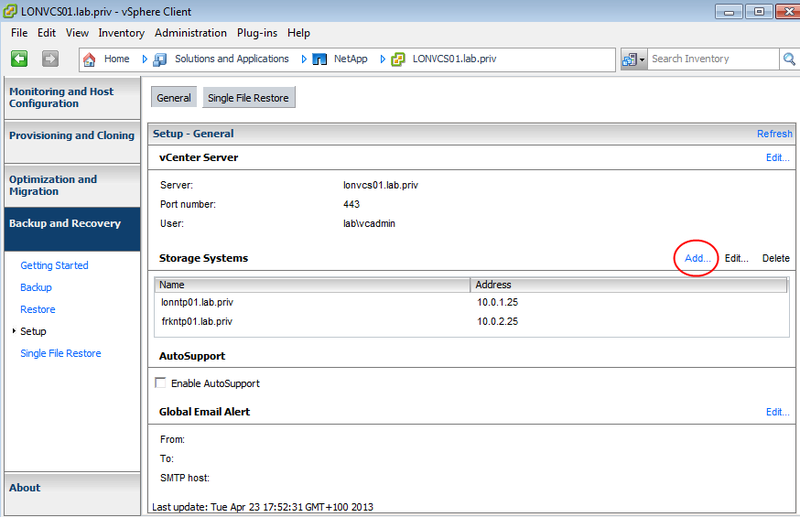 Note i: If a Datacenter is selected in the ‘Entities’ drop down, the ‘Available Entities’ are Datastores. Note ii: If a Datastore is selected in the ‘Entities’ drop down, the ‘Available Entities’ are VMs. 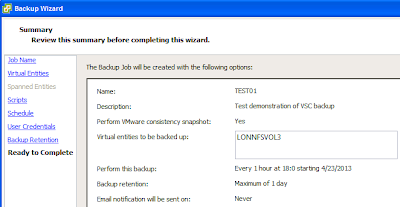 - Specify the credentials which will be used to run the backup job, this can be the ‘default vCenter credentials’. 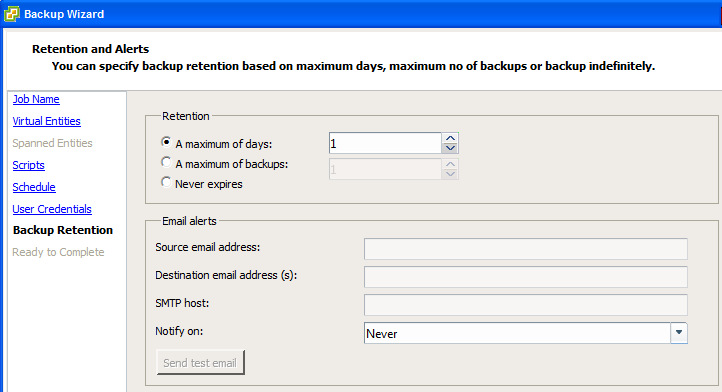 The newly created backup job will then appear in the list of ‘All Backup Jobs’ as in the example below. 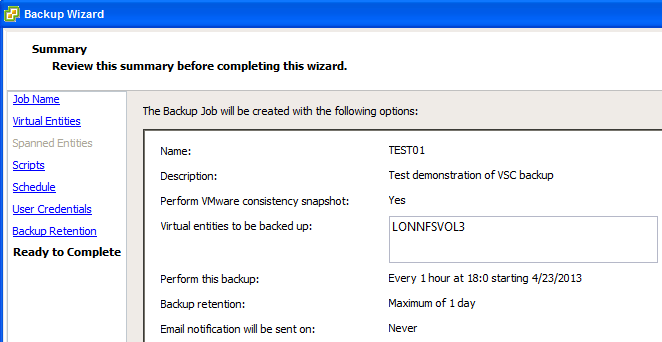 And if all’s working then tasks similar to the below example should appear in the vSphere Client.